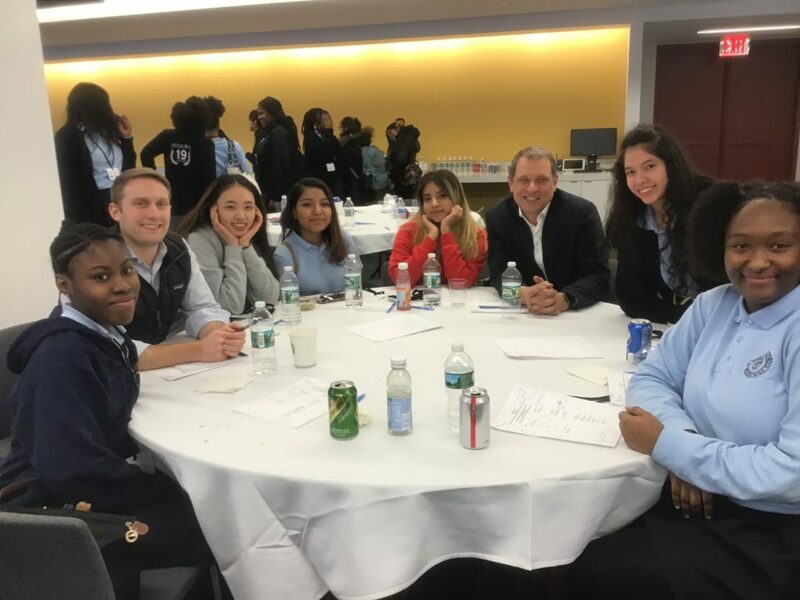 On Friday January 11th, National Honor Society students from St. Joseph High School were invited to attend BNY Mellon’s Young Women’s Leadership Conference through our partnership with Junior Achievement. Students from Cathedral High School and the High School of Applied Communication also attended. 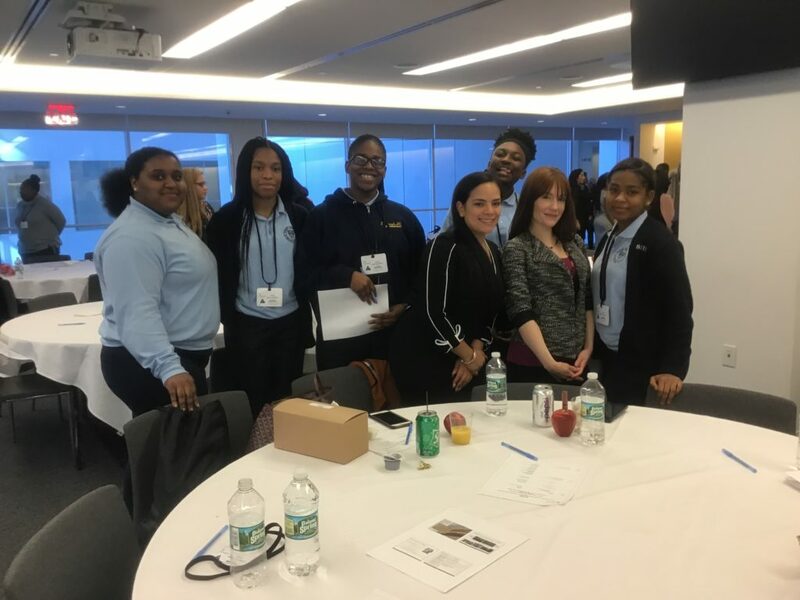 BNY Mellon is a leading global investment firm with numerous initiatives to support women in positions of leadership within the company, and to increase access to STEM education for young women. 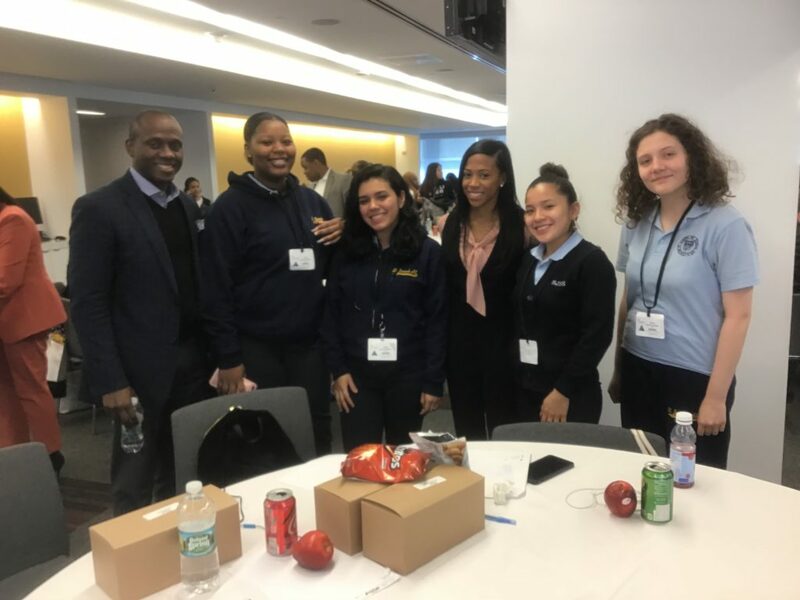 During the welcome for the conference, the moderator explained to the students some of BNY Mellon’s history and provided an overview of their present business model. The first hour and a half of the event was devoted to Personal Branding: Telling Your Story, Networking and Social Media. Afterwards lunch was served and the students got to know their mentors better. The final hour and a half was a panel discussion on career and education paths; each table was encouraged to ask a question. Jiawen Pan, a junior who hopes to study business and work in hotel management. “I was inspired by the BNY Mellon employees” she explains; “they know exactly what they want, and they made me start to think about my future.” She was surprised to find so many women among the mentors present; “I thought the majority of the mentors might be males but actually there are a large number of female mentors and they are from different countries.” Her mentor suggested that she choose a major that could open the door to many fields, so she doesn’t feel trapped in just one area. Another piece of advice she recieved was to work on growing in empathy toward others, as this is a crucial virtue in the business world. 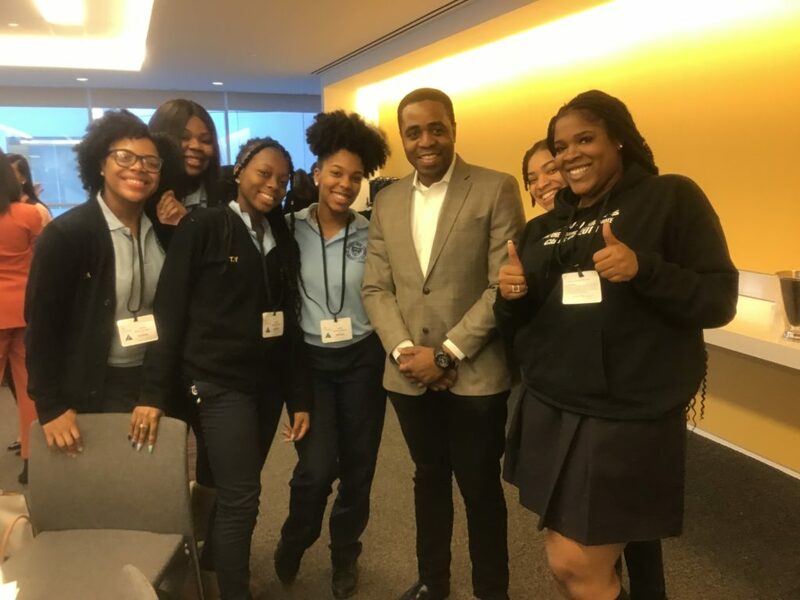 In future we hope to continue our fruitful partnerships with Junior Achievement New York and BNY Mellon as we keep supporting the young women of our school in their academic and professional efforts.